Oil on canvas, 58 x 40 cm. During his stay in Italy, Wilhelm Marstrand did a number of sketches using the locals as models. These sketches would later be used as parts of larger compositions or as independent portraits. This head and shoulders portrait depicts a young Italian peasant (campagnol). 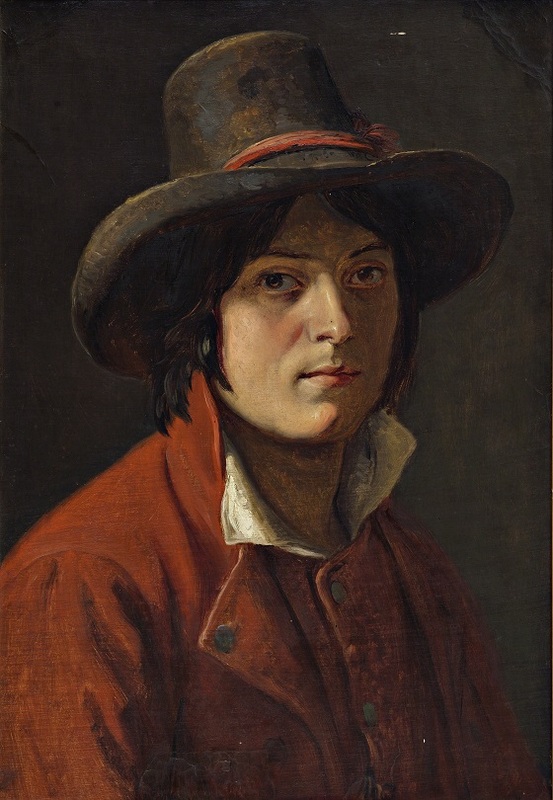 Instead of beautifying and idealising, the artist has reproduced the facial features that characterise the young man’s personality, such as his slightly squinting eyes, wrinkled white collar, dusty coat and broad hat, which was an essential item of clothing when doing hard work in the fields under the baking Italian sun. The portrait nevertheless has a slightly cheerful tone about it. Marstrand was among C.W. Eckersberg’s students and was, as the only one, very interested in narrative and illustrative painting. Marstrand worked with genre painting, literary subjects, portraiture and, in later years, history painting. He was frequently employed as a portraitist and painted a series of portraits of members of the Hage family, among others. Marstrand travelled throughout his life in the larger European countries such as Italy, France, Germany and England. He was particularly fascinated by Italy, where he stayed for several years. From here, he became a major producer of peculiar, touching, and often humorous or ironic depictions of the Italian folk life that so fascinated him. Been to The Nivaagaard Collection?